This website is stuffed to the gills with problems. The world’s got problems. Every country’s got problems. You and me… we got problems. Russia wants Ukraine. The bankers are doing us wrong. Politicians and corporations are screwing us over. The media is owned by powerful entities and regularly lies to us. This bill or that bill only benefits a select few at the expense of many. It’s not that I’m going to stop pointing this out, but c’mon, we get it. Everything is a mess. Is anyone coming up with viable, reasonable, pragmatic solutions? Well, yes. There are many people offering solutions. Ideas for solutions to society’s ills might come from—in descending order of usefulness—journalists, think tanks, your drunken uncle, or even a politician from time to time. But even the solutions are rife with problems. Who does this benefit? Who does this screw over? If the answer is not: “benefit the wealthy, corporations, banks and/or politicians,” good luck with that. It has now been scientifically proven that America, for example, is an oligarchy and not really much of a democracy at this point. So, the problem is: How do we get legislation passed that specifically addresses the so-called oligarchy problem? It’s particularly difficult because it basically asks politicians to vote against their best interest. How would you convince a wolf to not go on a feeding frenzy while in the midst of a flock of sheep? You wouldn’t. What’s interesting about this study, though, is that it also shows the power of special interest groups. None of this is surprising. We’ve long suspected that the entire world—for the most part—is an oligarchy. And it’s plain to see that powerful groups—professional associations, business lobbies, well-funded think tanks, etc.—have power. 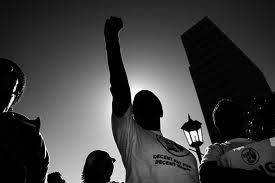 The group is the political unit that counts, not the individual. But “the people” is a group, and if we take the study’s premise as a baseline, “the people” is 90% of the populace. It’s a HUGE group, numbering in the hundreds of millions in America’s case. So why are they not getting what they want? Because money. That’s your first instinct, isn’t it? It’s fine, but not the whole picture. It’s also because they’re not properly expressing their group power. Showing up to the ballot box is not going to help anything. You’re simply designating who will pass laws in favor of corporate and elite interests. Not helpful. Here’s what we need to do. We exclude the 24 interest groups highlighted in the above-linked study (and maybe a few more) and create an umbrella interest group that poses referenda to every other interest group in the country. Almost everybody belongs to something: a church group, a gun club, a volunteer association, a bird watching society, a professional organization, a community organization, an amateur sports club, etc. Almost every one of these groups must engage to some degree with the political infrastructure. They have to get permits or funding or tax breaks or a charter. Thus, every one of these groups has a political agenda and it almost inevitably gets subverted by red tape or de-prioritization or otherwise locked up in the political apparatus. It would take a fair amount of initial work to seek out (which could easily number in the millions) and convince all of these groups that it would benefit them to join said umbrella institution. But it can be done if their political frustrations are played upon. Next, via an annual convention or even a social media website, referenda are presented to all of these organizations. They have one vote per organization per issue. And effectively, they would represent the will of the people in a much more real way than voting a politician into office. After said umbrella organization is established and the nation’s many organizations are contacted and catalogued, it would only take a shoestring budget and a small secretariat to run it, costing each member organization as little as, say, 50 cents or a dollar a year to be a member. The question being begged is: What issues could overlap the interests of so many disparate organizations? They’d have to be completely non-partisan for one, mostly financial in nature. The benefit would have to be apparent and almost immediate. And they would have to send a clear message of solidarity to the power structures. Let’s brainstorm some ideas. Feel free to chime in with some ideas of your own in the comments. 1) Hold governments and government agencies to the same accounting standards, with annual audits at the very least, as private businesses and other private entities or NGOs. 3) Either term limits for all tiers of government, including bureaucrats, MPs, Senators, Representative, Mayors, etc. –or- representation by lottery/sortition. 5) Hold senior bureaucrats/officials financially accountable for discrepancies in their respective agency’s balance sheets. 6) Set a firm debt ceiling and if the ceiling is exceeded, dissolve the government with immediate ad hoc elections. 7) Limit legislation to, say, 20 pages with a one-page summary including a projection of how it will affect future generations. 8) Immediately abolish any double standards for politicians, i.e. insider trading exceptions for U.S. Members of Congress. 9) Rewrite the tax code in 200 pages or less. 10) Regulate the ratio of money banks can loan vs. money they have on hand. It currently stands at over 50:1 on average. Ideally, it would be 1:1. Perhaps initially, a more reasonable ration like 10:1 could be acceptable. 11) Set targets to reduce the number of bureaucracies being publically financed. All of these proposals are perfectly reasonable (I think) though they would be considered totally radical if proposed on the Parliament or Senate floor. And the passing of any one of these would have dramatic, reverberating effects throughout society. Of course, every one of them either directly limits the power of those who would vote on it or drastically reduce their access to wealth. So it wouldn’t happen. But, if every interest group in any given country, effectively representing upwards of 90% of society’s population, were to definitively say, for example: Government agencies should be held to the same accounting standards as private businesses! The media would jump all over it, the electorate would have something solid to point to come next election, and politicians would have no other option than to be held accountable to it. Think about it. Tell me what you think. And if you actually are interested in pursuing such an endeavor, let me know. We’ll brainstorm together. The U.S.S.R. was fortunate to begin when it did. 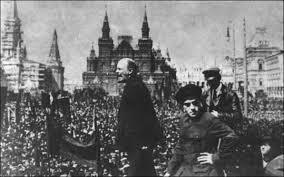 Starting with the Russian Revolution in 1917, its leaders capitalized on a national discontent with the Russian monarchy to institute a political system which was supposed to be more responsive to the people. In essentially removing private enterprise, people were to be equals, with no classes to keep people down while allowing others to accumulate wealth. Farms and factories were collectivized, with the idea being the individual would work for the common good. The problem was that the Russian system (which was exported as the U.S.S.R. expanded) was a top-down one where the workers had no emotional investment or ownership over their work and therefore little resonating incentive to produce. This would lead to problems in the ensuing decades. The U.S.S.R. also benefited from World War II in the sense that it was a gift for their highly-industrialized economy. Factory production soared and workers were kept busy. With the world’s focus on central and Western Europe, Joseph Stalin was left on his own to create a brutally oppressive regime, one that hardly looked like the one people hoped for earlier in the century. The West needed Stalin’s help in the war effort and in return it was hoped his aspirations would be contained. Your opinion may vary depending on which side of the Iron Curtain you were looking at, but Communism’s influence was kept from reaching further west at the expense of the eastern countries it gobbled up. In the years after World War II, the Cold War heated up. The Korean War and Vietnam, along with a Cuban near miss, attracted an America that was opposed to the spread of Communism. That gave both sides an enemy to focus on, which came in handy when the economy was not performing so well. But when there was no enemy and the economy is tanking, things do not look so good. During his period of leadership Mikhail Gorbachev saw that the Soviet economy was in trouble, so he rushed a series of reforms including Glasnost (openness), Perestroika (restructuring), Demokratizatsiya (democratization) and Uskoreniye (increased pace of economic development). Gorbachev saw the Soviet Union falling behind the West in productivity, innovation, per capita outputs and other measure which together show the economic health of a country. It made more sense to partner with the West as that would be the U.S.S.R.’s fastest path to a healthier economy. In hindsight it is easy to see why the Soviet Union failed when one looks through the lens of common human motivation and behavior. When he assumed leadership in 1929, Joseph Stalin stated his country would have a decade to overcome a century’s worth of ineptitude if it hoped to survive. Stalin placed Russia on a path of rapid industrialization with an intensive focus on capital outputs which would benefit the military at the expense of consumer goods and housing which hurt the average person. To make this work the central government had to exert tight control over most industries, including their personnel moves. People quickly learned that the safest path to job security meant not questioning orders, and keeping one’s creativity and ingenuity to one’s self. Industrial managers had their performance assessed by how well they met targets laid out in the Five Year Plans. Meeting targets for production meant significant bonuses for managers. Exceeding them meant trouble, for the subsequent target would be that much higher while not meeting them eventually meant dismissal. To make sure targets would not be exceeded; managers would deliberately slow production for a significant portion of the assessment period before picking it up, hopefully, just in time to meet the targets. Innovation was a gamble whether it succeeded or failed, because failure meant unmet targets while success equated to more pressure from higher targets in the next period. These were only a few of the circumstances which conspired to create a weakened Soviet economy in the late twentieth century. There were many more. Managers regularly asked for drastically overinflated and unrealistic budgets which led to the central government allowing massive overproduction and purchasing more than it could afford. Factories also grew large and inefficient. When the government had to pull back, they stopped cold turkey and left half-completed projects all over the place, some never to be completed. Government administration made it worse. There were targets and plans for everything starting at the top. At each level, they were continually broken down until a production and resource allocation target was in place for up to 60,000 products, with a one-year plan stretching to 12,000 pages. Everything was forecast, with nothing left to chance, including normal market fluctuations and geopolitics.